Shamengo is an association whose aim is to promote the very best of green and social innovation. Shamengo is a neologism made up of the words “Shaman” (the one who goes from one world to another world), “Men” (the human community that characterizes the organization), and “Go” (word for action). – discover: Shamengo has made a collection of video portraits of the most disruptive green and social entrepreneurs throughout the world, called “Shamengo pioneers”. Today, this collection gathers more than 200 portraits (2 minutes each). The collection gradually increases and welcomes a new pioneer twice a month. The portraits are published on the platform www.shamengo.com and broadcast on TV5 Monde, reaching out to hundreds of millions of viewers. 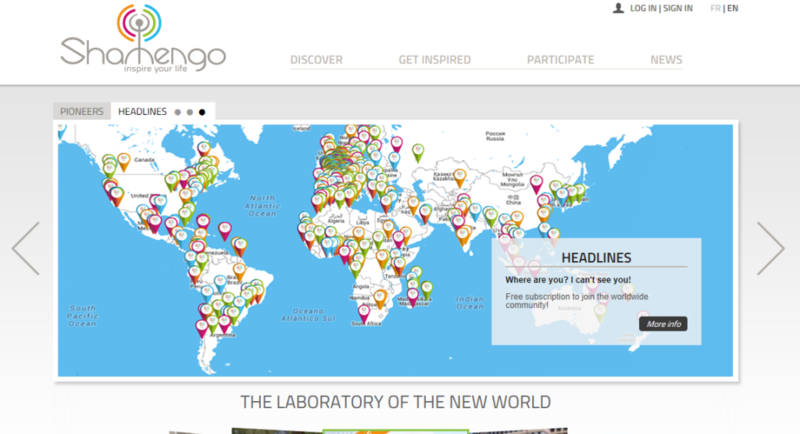 – join: Shamengo has created an international community gathering more than 6,000 active members and composed of academics, citizens, corporations, associations, networks and local Authorities. – build: Shamengo engages in the construction of Shamengo Villas together with community members and pioneers. This project consists of building “smart cities” with an edutainment dimension whose aim is to accelerate the societal transition towards new living modes that are more respectful of self, others and the environment. As a living lab, it is a place to learn new skills and experiment new usages. The Shamengo Villas contribute to a better world for three reasons: first of all, this unique initiative is co-designed by all relevant stakeholders, from universities to the civil society and corporations. Second, it offers a opportunity to get familiar with new ways of living, consuming, producing, working, learning. Third, it is an inclusive, disruptive and visionary project open to all, locals and internationals, rich and poor, young and senior.